Researchers at the University of Southampton have taken a significant step in a project to unravel the secrets of the structure of our Universe. 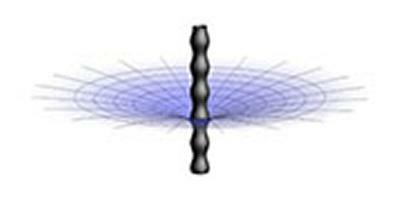 A new paper released by Professor Skenderis and Dr Marco Caldarelli from the University of Southampton, Dr Joan Camps from the University of Cambridge and Dr Blaise Goutéraux from the Nordic Institute for Theoretical Physics, Sweden published in the Rapid Communication section of Physical Review D, makes connections between negatively curved space-time and flat space-time. Space-time is usually understood to describe space existing in three dimensions, with time playing the role of a fourth dimension and all four coming together to form a continuum, or a state in which the four elements can’t be distinguished from each other. Flat space-time and negative space-time describe an environment in which the Universe is non-compact, with space extending infinitely, forever in time, in any direction. The gravitational forces, such as the ones produced by a star, are best described by flat-space time. Negatively curved space-time describes a Universe filled with negative vacuum energy. The mathematics of holography is best understood for negatively curved space-times. Professor Skenderis has developed a mathematic model which finds striking similarities between flat space-time and negatively curved space-time, with the latter however formulated in a negative number of dimensions, beyond our realm of physical perception. He comments: “According to holography, at a fundamental level the universe has one less dimension than we perceive in everyday life and is governed by laws similar to electromagnetism. The idea is similar to that of ordinary holograms where a three-dimensional image is encoded in a two-dimensional surface, such as in the hologram on a credit card, but now it is the entire Universe that is encoded in such a fashion. The paper AdS/Ricci-flat correspondence and the Gregory-Laflamme instability specifically explains what is known as the Gregory Laflamme instability, where certain types of black hole break up into smaller black holes when disturbed – rather like a thin stream of water breaking into little droplets when you touch it with your finger. This black hole phenomenon has previously been shown to exist through computer simulations and this work provides a deeper theoretical explanation. In October 2012, Professor Skenderis was named among 20 other prominent scientists around the world to receive an award from the New Frontiers in Astronomy and Cosmology international grant competition. He received $175,000 to explore the question, ‘Was there a beginning of time and space?’’.